So who is Love CBD? Love CBD is a small family-run business located in Newmarket, Suffolk. We started selling CBD oil in late 2014, before it became the big deal it is today. This was a passion project from the beginning: we saw what was happening in the USA, where state by state CBD was being legalised, and we didn’t think it was fair that people in the UK should be deprived access to equally high quality cannabis oil. At that time, most of the UK CBD oils being sold were made from industrial hemp waste. We were determined to do better. We began hunting for suppliers around Europe who could produce CBD oil made from hemp flowers and grown with the specific intention of becoming CBD oil, rather than leftover hemp fibre. 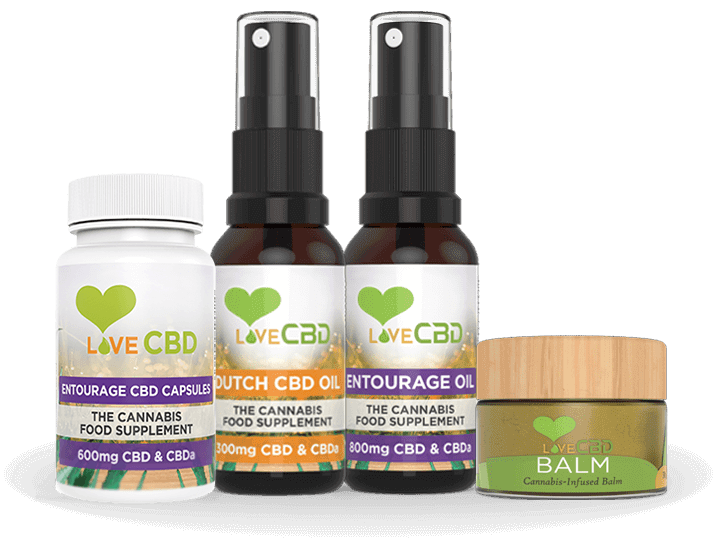 Four years (and much hard work) later, The Love CBD Range has become established as a leading brand for CBD capsules, CBD balm and CBD spray in the UK. We are proud of our products… but more than that, we are proud to have played a role in the CBD and cannabis revolution that is taking place worldwide. Change is coming, laws have changed… and they will continue to change.